A concept that facilitates understanding and describing the nature of the relationship between an organization and its employees is employee engagement. Engaged employees are those who are enthusiastic about their work and strive for the organization and its values with a positive attitude. Hence, HR consultants say, it can be easily understood that an organization with high employee engagement fares better than those with a low employee engagement. 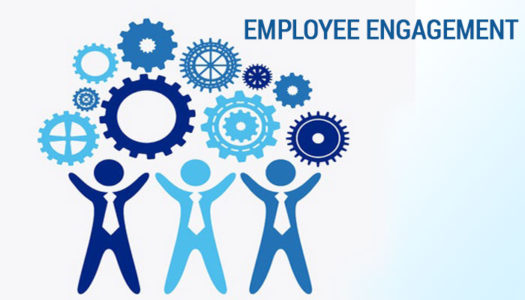 An organization that has employee engagement concept in place creates ideal conditions for the employees to perform their best on a daily basis with a commitment and motivation to contribute towards the organization’s success. Here, one thing has to be understood that employee engagement and employee satisfaction are not one and the same. Employee satisfaction is a different thing as it shows how satisfied or content your employees are. HR management consulting professionals tell that employee satisfaction does not deal with the motivation or involvement with the organizational commitment. Satisfied employees are only concerned with collecting the salary for the work done. However, engaged employees care about their work and their organization. They don’t work for just salaries but work towards achieving the organizational goals. HR consulting firms state that engaged employees lead to better business results. How does this happen? This happens due to a chain of actions. Engaged employees perform better and provide quality service and greater productivity that leads to higher customer satisfaction which in turn leads to increased sales or business. This results in augmented incomes and profits. So, how does one know if the employees are engaged or not? What is the measurement for employee engagement? According to the HR management consulting professionals, employee engagement is measured with the help of a survey that is specifically designed for this purpose and the results of this survey need to be statistically validated to get appropriate insights of the results. When organizations want to make changes in the working conditions for better performance, those changes will not work if the employees are not engaged. So, for an organization’s success, in the long run, the organization needs to have engaged employees rather than satisfied employees. Human resources consultancy professionals can help organizations with the ways employees can be engaged and the measurement of employee engagement. Consult Accuprosys, one of the top HR consulting firms for all your HR needs and queries.